The cookies I am sharing today are a favorite and I kind of can’t believe I haven’t shared the recipe yet! If you crave peanut butter cookies but can’t have them because of an allergy, or a family members allergy then I can’t wait for you guys to try these cookies! 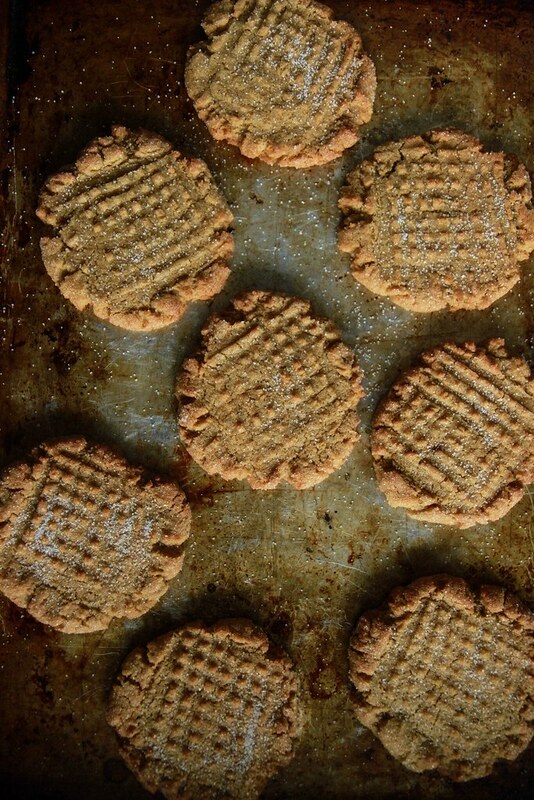 Peanut butter cookies are one of those few special things from my “former life” that I don’t miss but like, REALLY miss. But I love that I was able to recreate a very close copy here with cookies that are not only peanut free, but nut-free, vegan and gluten-free!!! And damn are they good. These are so great that I made a video for you all about it! I hope you whip up a batch and enjoy them as much as we all do around here! **I use Bobs Red Mill All-Purpose Baking Flour and Trader Joes Sunflower Butter (sweetened) or TJ’s Sunflower Butter Spread (unsweetened) depending on what we have in the house! In the bowl if a standing mixer, cream together the vegan butter and the sugar until fluffy. Add the sunflower seed butter and beat until fluffy. In a separate bowl, combine the dry ingredients and then add them to the mixer. Add the coconut milk and beat until you have a creamy dough. Mark each cookie with the tines of a fork to create hash-marks on top and bake the cookies at 375 for 8 minutes. Let sit to cool for a few minutes before removing them from the pan. These look and sound absolutely scrumptious! I love sunbutter so these sound perfect! Hi Jeather – could you give brands of sunflower butter & GF flour that you used, it makes a big difference in flavor & texture – thanks! YES! I use Bobs Red Mill All-Purpose Baking Flour and Trader Joes Sunflower Butter (sweetened) or TJ’s Sunflower Butter Spread (unsweetened) depending on what we have in the house! I have a friend with a peanut allergy. Can’t wait to share these with her! I love it too Lindsay! Never met a cookie I didn’t like!